When it comes to healthcare innovations, or advancements in combating cancer and other chronic or deadly diseases, 2016 was a very productive year, with Baptist Health South Florida taking a leading role. Looking ahead to 2017, Miami Cancer Institute will have the Proton Therapy Center, the only such center in the region and one of only 14 in the United States. 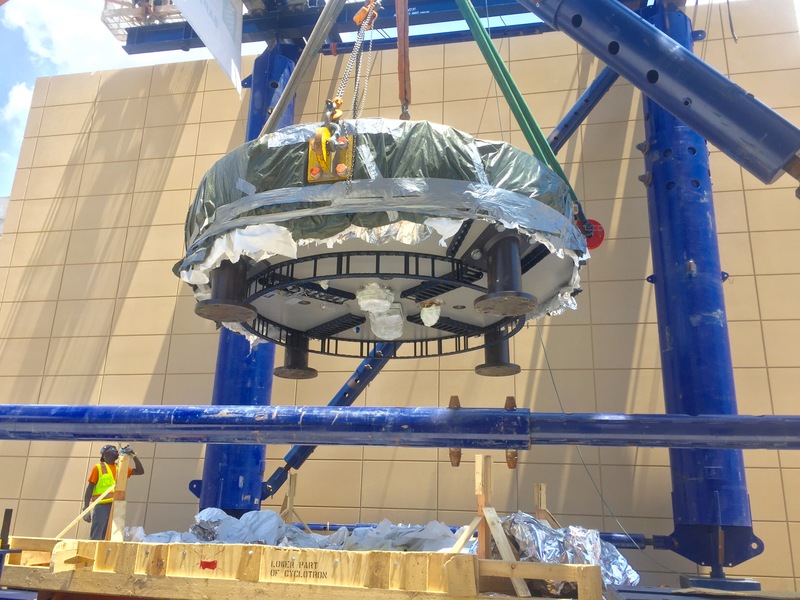 Earlier this year, its centerpiece — “Pete,” a 220-ton proton therapy cyclotron — arrived at the Institute. Other advances at Baptist Health in 2016 created new treatment options for patients with coronary artery disease and rapid or irregular heart beats — which included the world’s smallest pacemaker. Baptist Health also continues to pioneer the use of robotic tools. A new robotic “eKit” enables control of microcatheters which can be guided through a blood vessel to deliver cancer-fighting agents directly to the liver, kidney and other organs. ‘Pete,’ a 220-ton cyclotron and the cornerstone of the only proton therapy center in South Florida, has arrived at Miami Cancer Institute. The cyclotron began its 4,700-mile transatlantic journey from Belgium nearly two weeks ago. From its arrival at berth 19 at Port Everglades in Fort Lauderdale, the cyclotron was transported by a 64-wheel flatbed trailer operated by two drivers, who made the overnight drive to Miami. Proton therapy destroys cancer cells with highly targeted doses of radiation while avoiding healthy tissue and minimizing side effects, making it particularly effective in treating childhood cancers and adult cancers of the brain, liver and lung, as well as certain left-sided breast cancers and prostate cancers. Proton therapy treatment will be available at Miami Cancer Institute beginning in 2017. The interventional cardiology team at Miami Cardiac & Vascular Institute recently became the first in South Florida to offer patients with coronary artery disease a new treatment option that literally disappears over time. 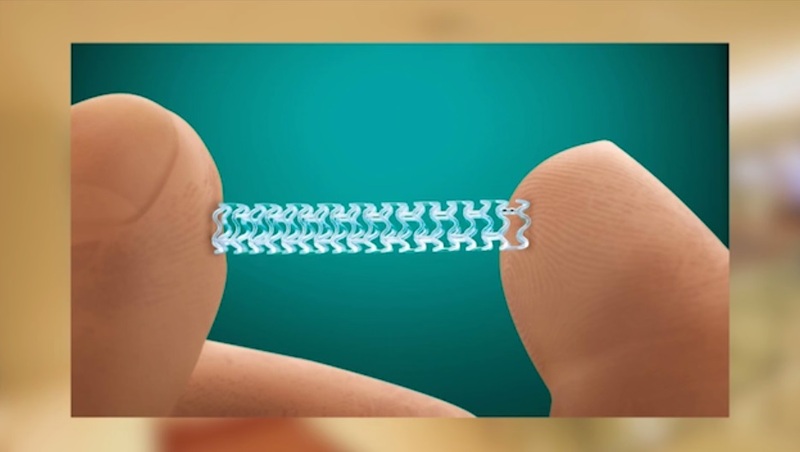 A new “absorbable” heart stent, the first on the market that dissolves over time, is advancing the treatment of coronary artery disease to the next level, say doctors at the Institute who took part in groundbreaking trials leading up to the new stent’s approval by he U.S. Food and Drug Administration this past July. Ramon Quesada, M.D., Medical Director of the Structural Heart and Complex Percutaneous Coronary Intervention Programs at Miami Cardiac & Vascular Institute, recently implanted the device in a patient, marking the first such procedure in South Florida. 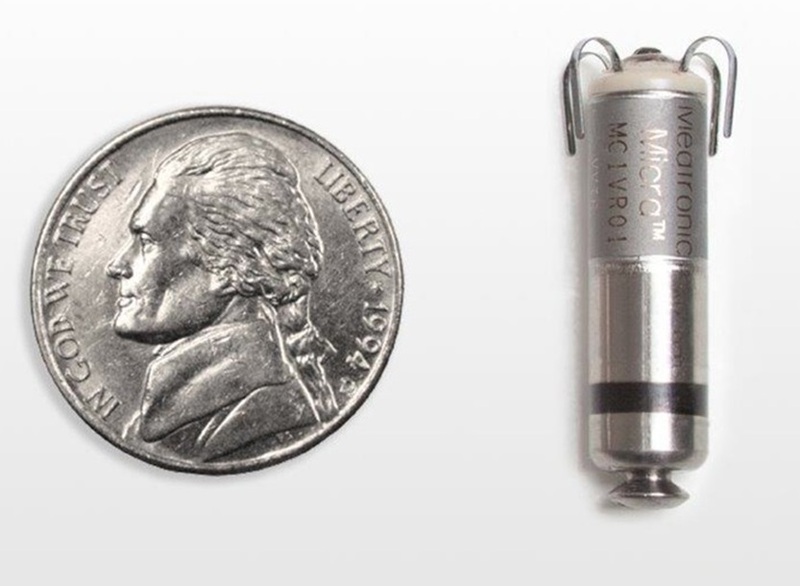 The days of bulky, wired devices implanted under the skin in a heart patient’s chest are numbered, thanks to the world’s smallest pacemaker, the size of a nickel, which was approved just last month by the U.S. Food and Drug Administration. 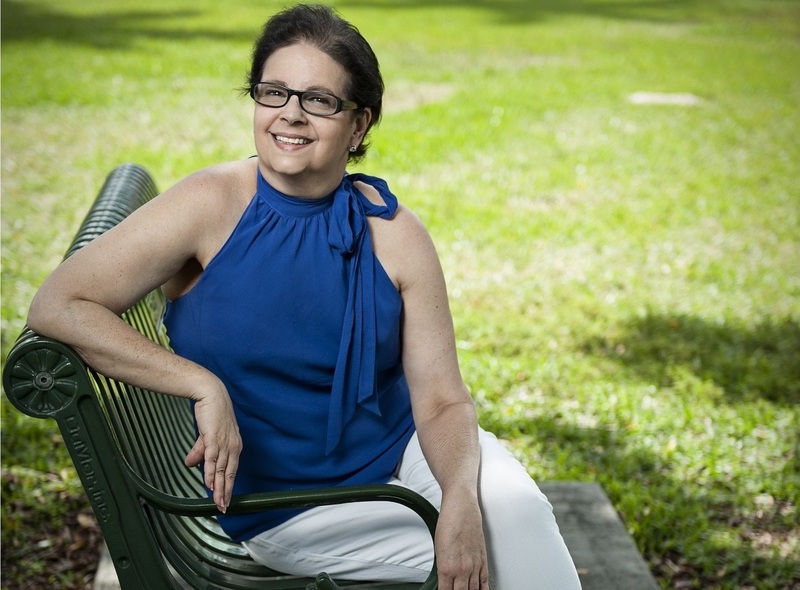 Before the FDA’s approval of the Micra Transcatheter Pacing System (also known as Micra Pacemaker) on April 6, Miami Cardiac & Vascular Institute took part in the FDA-supervised clinical trial involving hundreds of patients nationwide. At Baptist Hospital, 19 patients were implanted with the Micra Pacemaker, led by Efrain Gonzalez, M.D., medical director of electrophysiology at the Institute, and another four patients received the device at South Miami Hospital, led by Hakop Hrachian, M.D., medical director of electrophysiology at the Institute. In interventional radiology, as the robotic tools of the trade get smaller, the accomplishments grow greater. In the procedure rooms of Miami Cardiac & Vascular Institute on the Baptist Hospital campus, Ripal Gandhi, M.D., is pioneering the use of robotic instruments in minimally invasive, endovascular treatments for cancer patients. He recently performed the world’s first chemoembolization, followed by the world’s first radioembolization, using a newly created, FDA-approved robotic eKit, which enables robotic control of microcatheters. 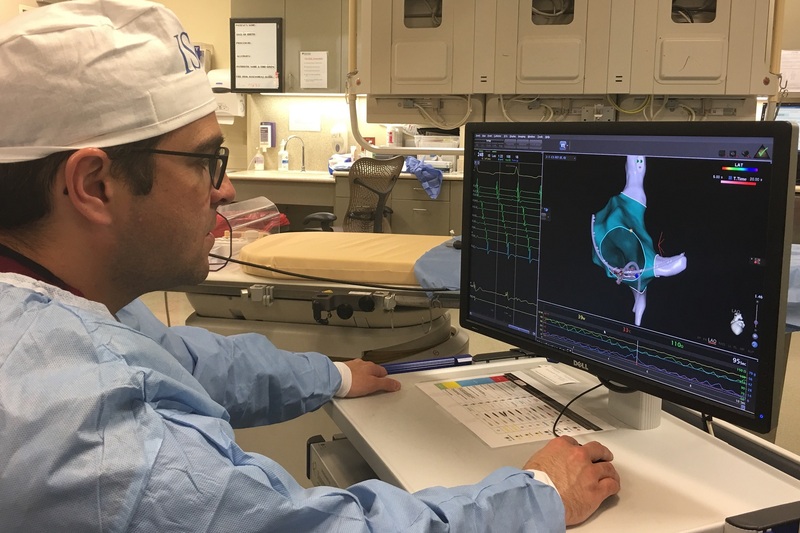 A team at Miami Cardiac & Vascular Institute recently became one of the first in South Florida to perform a “catheter ablation” without any radiation to restore a patient’s normal heart rhythm. 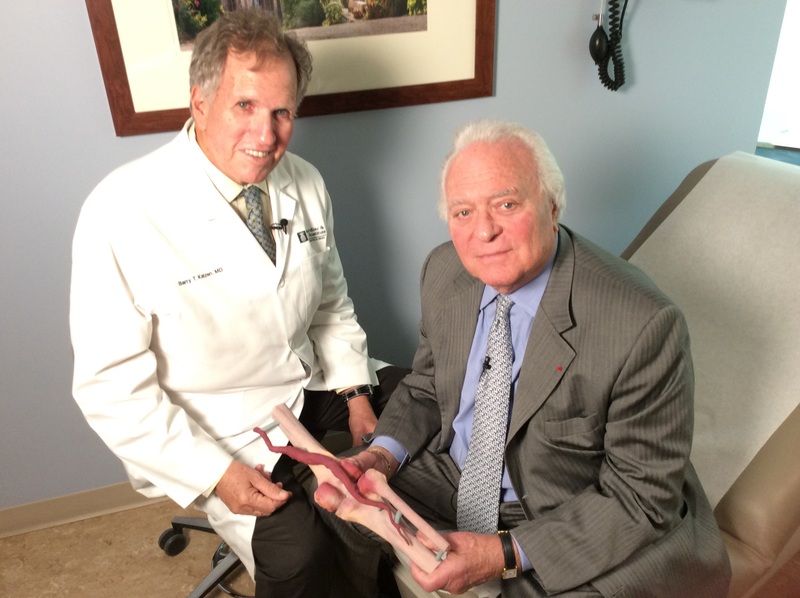 To help plan for a second interventional procedure and explain it to his patient, Barry Katzen, M.D., founder and chief medical executive of Miami Cardiac & Vascular Institute, used emerging technology to create a 3D model of the patient’s knee joint. With a few clicks on a computer keyboard, Dr. Katzen selected CT scan images taken of the knee and transmitted them to a special printing lab. There, 3D printing was used to create a life-size, anatomically correct model. The model of the knee joint, made out of calcium carbonate, feels like actual bone and includes the aneurysm in real size, as well as the surrounding anatomy.